Our focus is on the manufacture and supply of architectural building envelope products from the structure out. Our range includes cladding and decking materials, sub-framing, insulation and fixings. Based in Perth Western Australia, BLUECHIP has supplied more than 2,000,000m2 of materials to Australian projects since we launched our ULTRABOND aluminium composite brand in 2007. With over 89 years’ experience in external building envelopes, BLUECHIP is dedicated to the consistent delivery of innovative, superior quality facade solutions that meet the performance requirements and design vision of every project. BLUECHIP carries one of the largest stock holds in Australia of prefinished architectural facade panel meaning we have the ability to ensure consistent and reliable supply to builders and contractors for timely completion of projects. 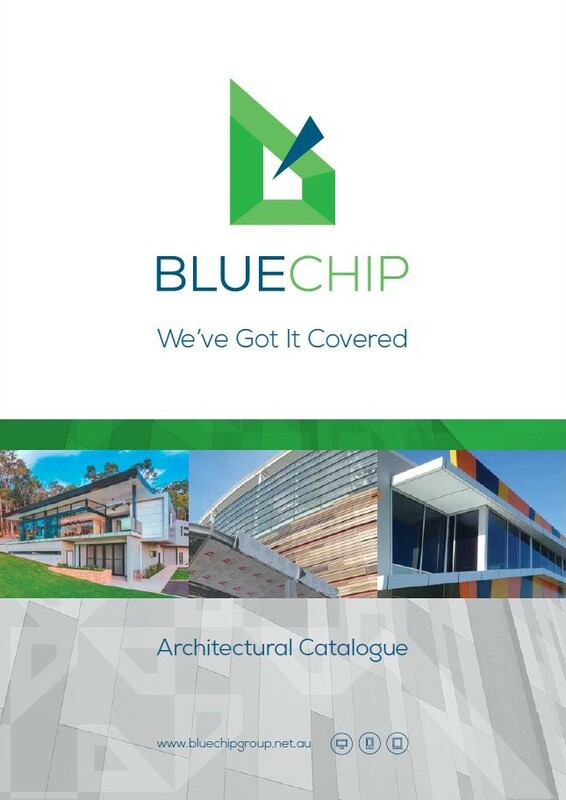 For architects and designers, BLUECHIP's wide range of different facade materials and finishes give the opportunity to create inspiring landmark facades which provide superior outcomes in design, value and performance. We are an innovative and proactive architectural building envelope supply company consistently delivering architectural facade solutions with excellence in quality and customer service. We will lead the facade supply industry in our market through facilitating the design, manufacture and delivery of superior building envelope solutions from the structure out. Our original family company called Nuroof (WA) Pty Ltd was founded in 1927 and we have supplied specialised building products ever since. The BLUECHIP brand began after setting up a timber mill in 2003 manufacturing timber cladding and soon after that we expanded our cladding range to include our aluminium composite panel brand ULTRABOND. BLUECHIP sold the timber mill in 2012 to focus on sustainable composite timbers and the facade panel market including exclusive distribution of global facade brands such as EQUITONE, FUNDERMAX and ARGETON. We also expanded into other commodity facade products such as fibre cement cladding, fixings, framing and insulation. At the beginning of 2016 we realised the need for a strategic realignment of our company brand names to bring our product divisions together under the BLUECHIP parent brand. This new approach allows us to better communicate our extensive range of facade products to the market and more effectively represents the complete facade supplier we have become.